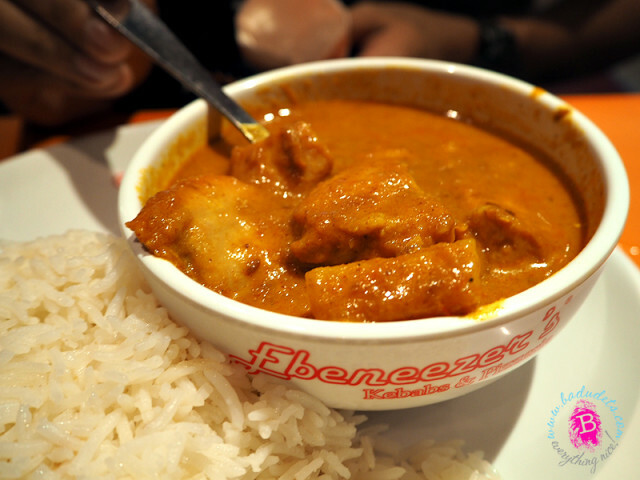 Mexicali: Mexican food, fast! | Badudets Everything Nice! You are here: Home / food / Mexicali: Mexican food, fast! Before we discovered Agave Mexican Cantina, when we’re craving for Mexican food, Mexicali is the place to be! 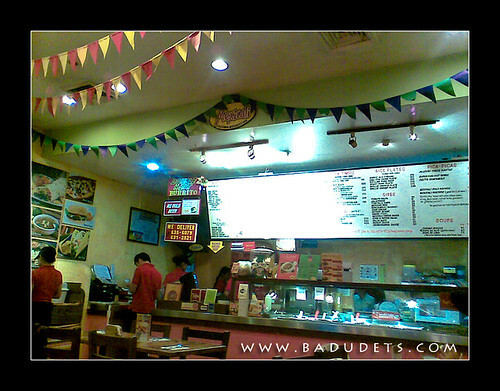 For 2 years, Mexicali satisfied our hunger with their big burritos and enchiladas and kept our appetite clamor for more. We might have dined in most of their branches from Robinson’s Place Manila, SM The Block, Trinoma and SM Megamall, yeah, that’s how much we love Mexicali! 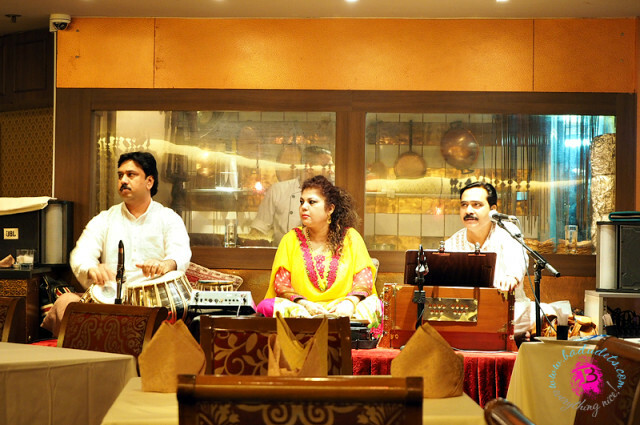 The restaurant’s friendly ambiance lets you hang out for a longer time in the restaurant. 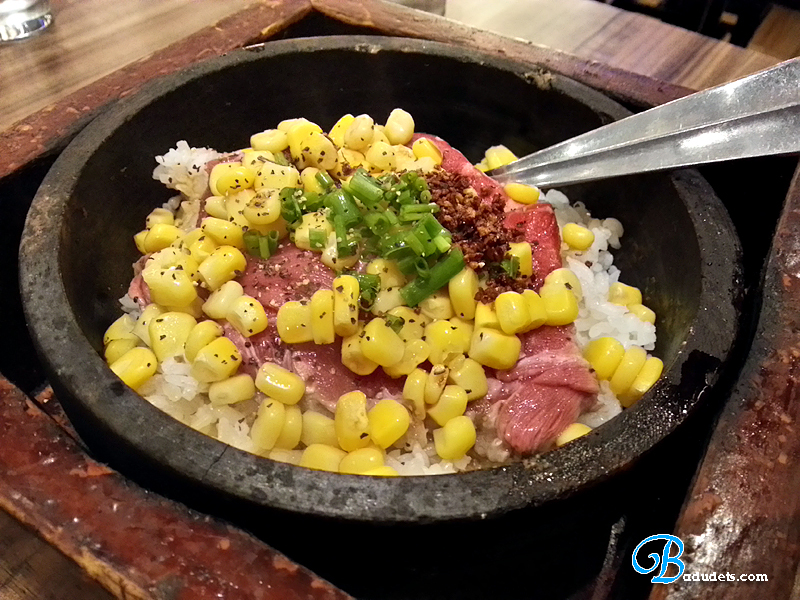 You will definitely stay longer with the big servings that you’ll get, more time is needed to finish the servings. A menu will be handed to you upon entering but you have to go to the cashier when you’re ready to order. 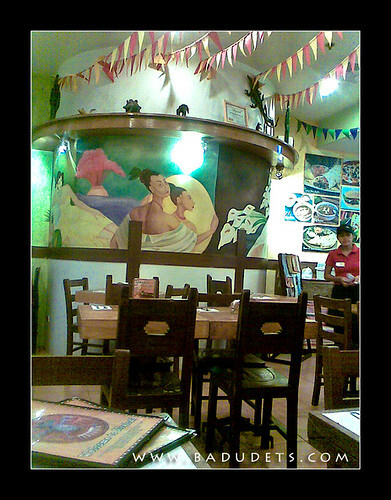 Mexicali’s festive interior resembles a canteen/cantina I often see in Mexican telenovelas with the menu boards. Our staple order would be Chicken Enchilada and Ground Beef Taco. 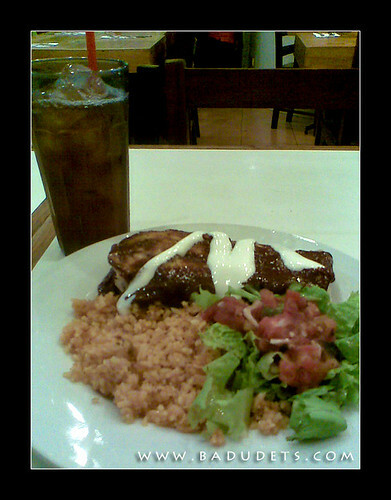 Chicken Enchilada is served with Mexican rice and side salad. They have bottomless iced tea that they will refill with gusto.What I love with Mexicali is that they serve condiments together with your orders, the garlic sauce and salsa comes in squeeze bottles and you can pour all you want according to your taste. We’re addicted to their garlic sauce! 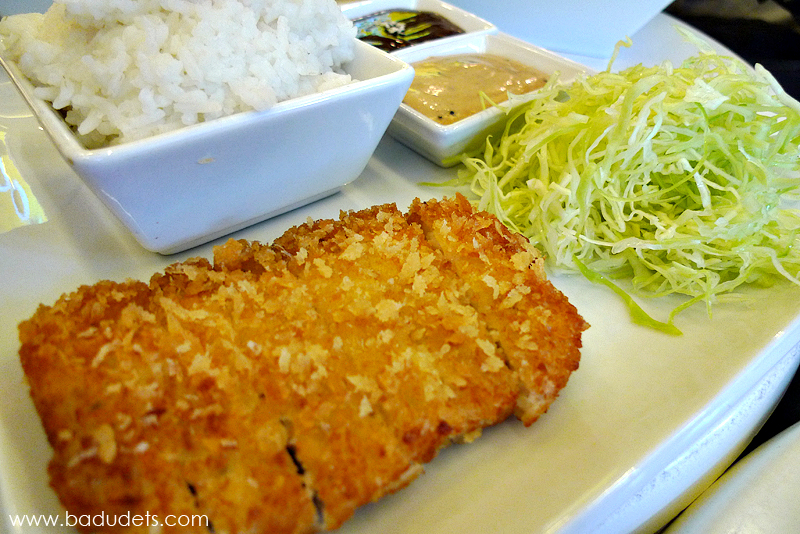 The side salad adds some freshness and lightness to the meal. Mexicali’s servings is bigger than Agave’s. 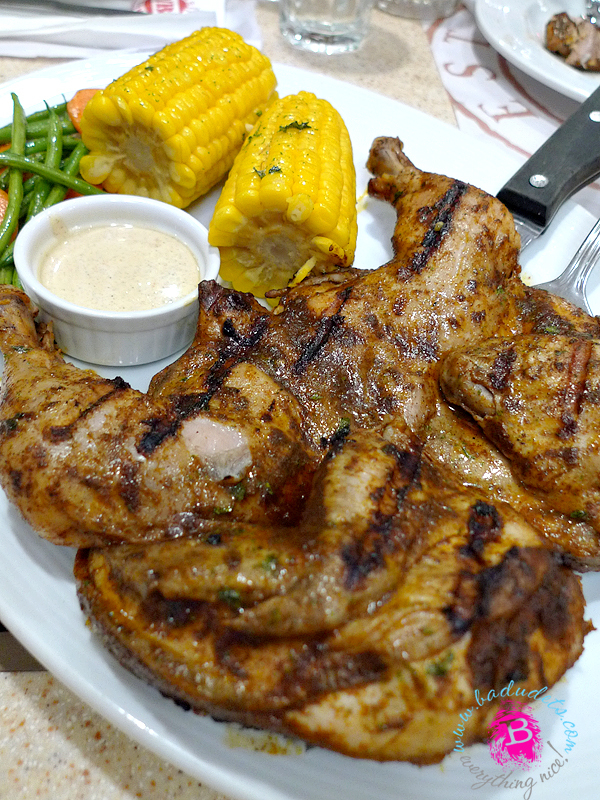 For people with big appetite, you’ll surely enjoy dining at Mexicali. You can browse Mexicali’s menu here, vegetarian-friendly dishes are also available. They offer deliveries in some areas too. I like Mexican food. 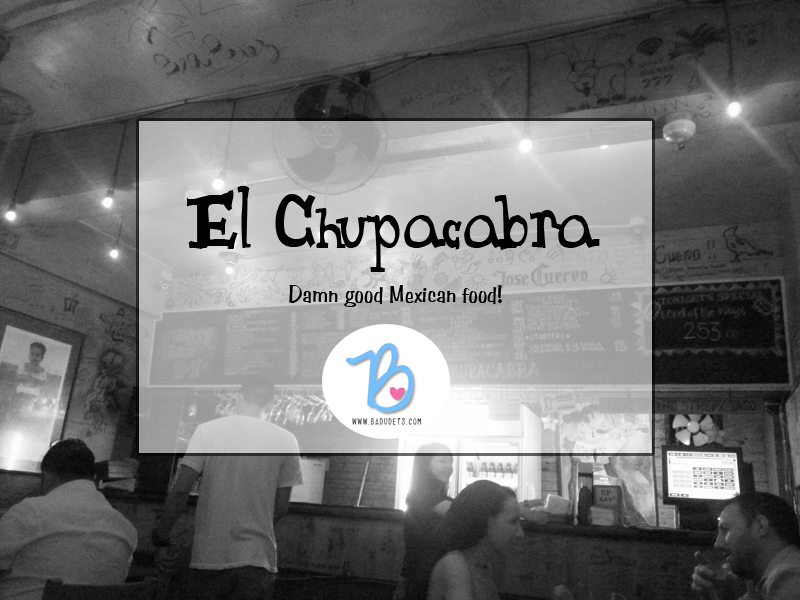 Thanks for sharing your Mexicali and Agave review.